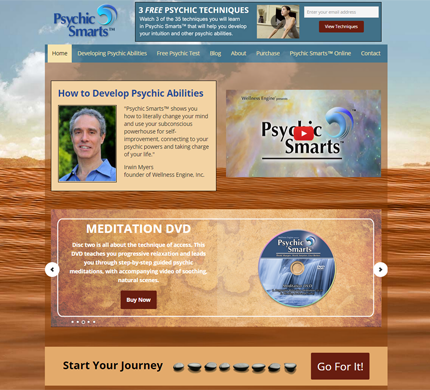 Psychic Smarts™ is a company dedicated to helping people move towards a happy, fulfilling and empowered life. They wanted a custom site that was mobile friendly and had full eCommerce capabilities to sell their physical discs as well as an online version. They hired DeLime Website Services build a WordPress site and install a custom mobile responsive theme.